One of the biggest challenges Citrix admins face is uncovering answers for Citrix performance issues. When an application or a desktop is slow, people naturally pin the blame on the Citrix infrastructure. It’s possible that there could be issues stemming from the Citrix side of the house, but often the real culprits are the supporting infrastructure components: network latency, virtualization bottlenecks, AD issues, storage hotspots, database issues, etc. Without a clear understanding of the various interdependencies that exist between Citrix and non-Citrix tiers, Citrix admins can spend valuable time chasing red herrings. If only there was a way to automatically correlate performance across various elements of the Citrix delivery infrastructure and pinpoint the REAL ROOT CAUSE. Well, there is. 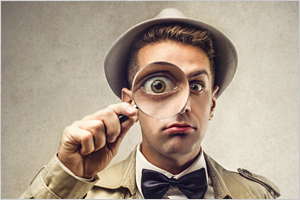 You don’t have to become a detective to solve Citrix mysteries. 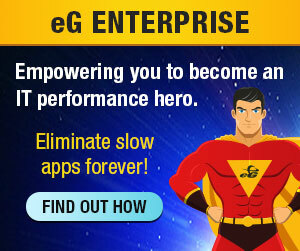 Leave the sleuthing to eG Enterprise and catch the performance culprit automatically.